Trekking in the Himalayas is not at all an easy task. It is a mixture of tough and easy rides. On the one hand, you may be required to pass the high gradient of slopes whereas, on the other hand, it might be an easy walk on flat meadows. However, keeping aside all the difficulties, it is a lifetime experience to wander in the arms of the ranges of the great Himalayas. People from all around the globe come here in hope to cover the highest peak. Some win over their fears while some discover their strengths. The ride in the Himalayas is that of a roller coaster which makes you a better version of yourself in the end. Apart from all the serene beauty, one may experience, it is important to learn about the location and geography of the path you are going to unravel. It might seem beautiful from the distance but it has some unique features which can only be studied and observed while trekking. It is surrounded by the glaciers on all its sides. From a variety of flora and fauna to glacial lakes, dense forests of oak to lush meadows and snow-capped mountains to change in serene beauty, one can experience a plethora of nature’s beauty in the great Himalayas. One cannot miss a chance to experience in these mountains and wander in paradise. It is without any doubt the best destination for all the trekkers, mountaineers and nature lovers who wish to experience the stored beauty and smell of lush green meadows, river valleys, snow-capped mountains and its environment. The Himalayas has a major influence on the climate of the Indian continent. It shelters it from the cold air mass of Central Asia and from all other the adversities. It also affects the monsoon and rainfall pattern of the subcontinent. It also has internal climate variations depending upon the regions and elevations. For instance, the subtropical region in Southern foothills, the temperature ranges from 30° C in summers to 18° C in winters whereas, in the middle valley, the temperature usually remains warm and ranges from 25° C in summers and winters are cool. 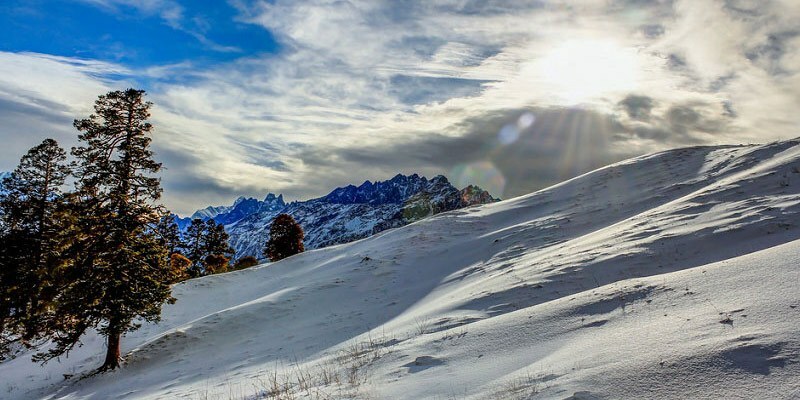 It also remains cooler in the higher parts with an average of 15 to 18° C and the temperature in winters get below freezing and at an elevation above 4880 m, the area usually remains snow covered. However, the eastern part receives heavy rainfall and the western part remains drier. Therefore, it is preferred to trek either between October-February, if you wish to get a great view of snow-capped mountains and trail on glacial lakes or to trek between Feb-June to enjoy the moderate and pleasant weather. 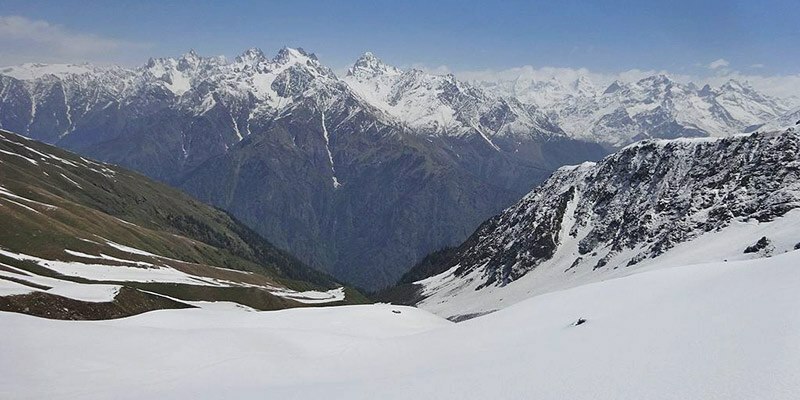 Chanderkhani Pass Trek is one of the jaw-dropping treks passes for all the adventure buffs waiting to get lost in the beautiful snow laden peaks, meadows and forests of the Himalayas like Inderasan, Deo Tibba, Hanuman Tibba and some eminent ranges such as Bara Banghal Range and Pir Panjal Range. 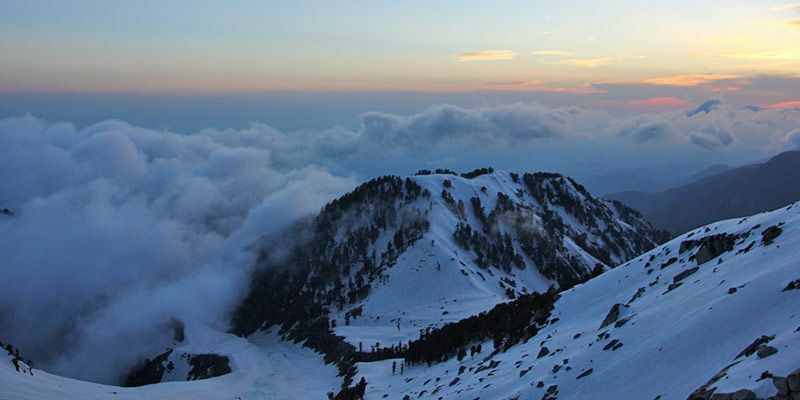 It is located in the Kullu district of Himachal Pradesh at height of 3,660 meters. Along with adventure, one can also witness a plethora of flora, fauna and scenic beauty. This is an easy trek for all the beginners and covers a distance from Naggar to Malana. Pin Parvati Trek is a long expedition of 17,457ft which is quite challenging for any seasoned trekker. 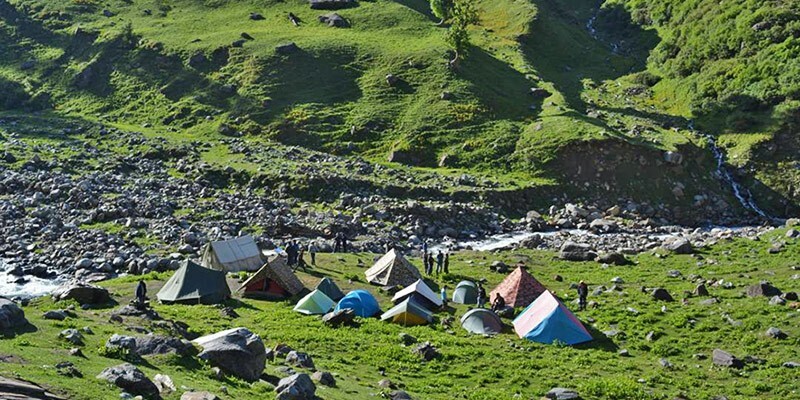 The trail of this trek starts from Kullu and ends in Manali. It is a most captivating picturesque trek that throws back many challenges like crossing the forest and verdant meadows of the Parvati Valley to the Buddhist villages in the Trans-Himalayan region of Spiti. The difference of landscape, flora, fauna and region can blow the minds of trekkers. However, one can witness different flowers, valleys, landscapes, bridges and enjoy the effervescence of the mountains. The best season to explore this pass is from July to September end. Even though trekking to high altitude glacial lakes is very difficult, one can enjoy the same vivacity at Bhrigu Lake nestled in the upper Kullu Valley, based in the eastern side of the popular Rohtang pass in Himachal Pradesh. Located at an elevation of 14,000 ft, it offers breathtaking views of snow-capped mountains, dense forests and lush meadows which is a feast for the eyes of viewers. This is one of the most eye-catching treks in Himachal Pradesh that can be covered by anyone with a stable fitness propensity. However, the trek in the months of July and August should be avoided due to landslides. Kuari Pass Trek is a most appropriate trekking expedition for all the beginners, waiting to wander in the folds of mountains. 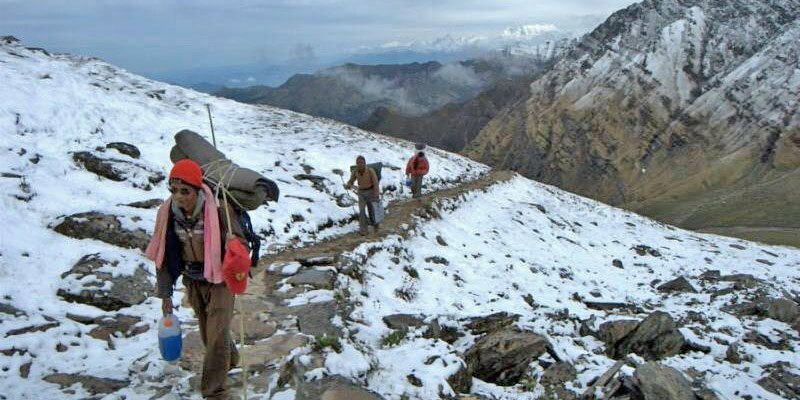 This trek is tucked in the Garhwal Himalayas at an altitude of 3876m. It is not only the best pass to start in the Himalayas but also for all the experienced ones to rejuvenate. It is surrounded by the scenic beauty and offers some delightful vies of its old oak and rhododendrons forests, spectacular campsites and majestic peaks of Kamet, Dronagiri, Trishul, Bertholi, Hathi Ghodi Parvat, Mana and Neelkanth. The best time to explore this trek is from December to March. Bali Pass Trek nestled at an altitude of 16240 ft. is one of the most challenging and thrilling expeditions, meant for only seasoned trekkers. The journey for this trek starts from Sankri village in Uttarakhand and ends at Janki Chatti. The route offers the most beautiful eye-catching beauty of the alpine meadows of Dev Thach and panoramic views of Bandarpoonch, Kalanag, and Swargarohini peaks. One can also explore the Govind National Park, the sacred lake at Ruinsara, meadows of Debshu Bugyal and Yamnotri temple while covering this challenging route. The best time to travel here is post monsoon. Most famous trek of Sikkim known as a land of serene beauty in India, Goecha La Trek stands at an elevation of 4, 940 m and gives a spectacular view of not only the Kanchenjunga but 14 other big summits. For a trekker this an expedition full of adventure, thrill and plethora of nature’s beauty. One can witness a Sunrise on the Kanchenjunga Range from View Point 1 or Dzongri, rhododendron forests, Samiti Lake, meandering rivers and the lush meadows. This is considered as one of the closest treks to the big mountain treks of Nepal. 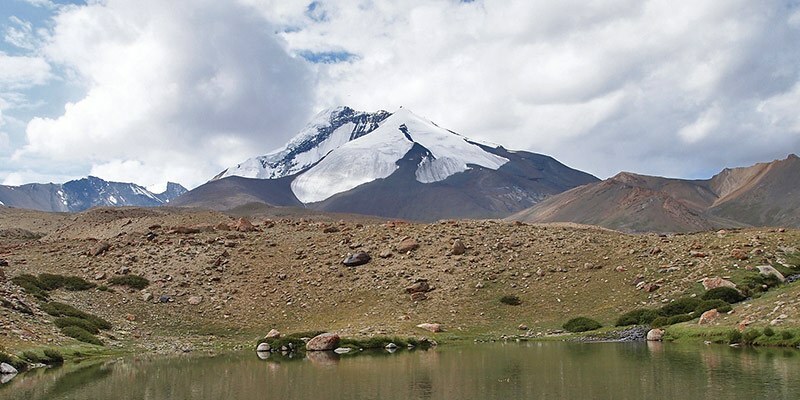 A crowned jewel of India, Stok Kangri Trek is the most spectacular and highest trekkable peak in the world that stands at an elevation of 20,100 ft, lies in the glamorous region of Leh and Ladakh. The peak provides a full view of Zanskar and the Indus Valley and thus, attracts trekkers from all around the globe. 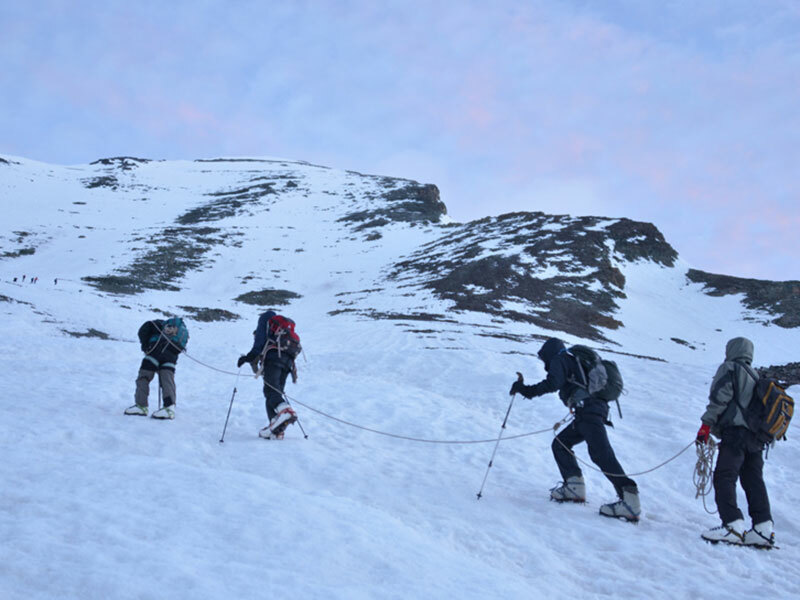 However, this trek is only meant for the experienced trekkers, owing to deserted surroundings, ridges, fluctuation in scenery and most importantly trek on a glacier to reach the summit point. This is one in a lifetime expedition and a dream of every trekker. Himachal Pradesh is one of the pristine states of India, known for its serene beauty and adventurous activities. One such famous trek of this region is Hampta Pass Trek. It is a trail that can be explored by anyone, without having experience in trekking. The people covering this expedition are always left in awe with the beauty of this trek. The maximum altitude of this trek is 14, 100 ft and it generally takes four days to cover this trek. Usually, the trek starts from Jobra and one can witness the panoramic view of Lahaul valley. The best months to cover this route are May, June and August through October. 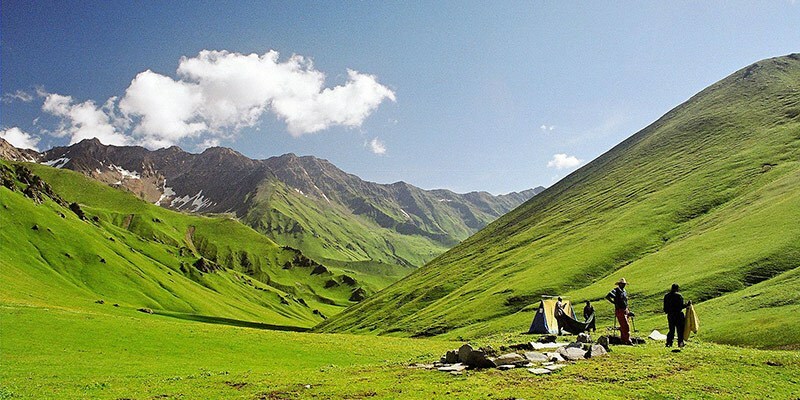 Indrahar Pass Trek in Dhauladhar, Himachal Pradesh is one of the most awe-inspiring treks in the region. It is an easy to moderate treks in Himachal Pradesh that sets off from McLeodganj in the Kangra valley and ends at Chamba. It is nestled at an altitude of 14, 245 ft. The trek offers splendid views of sacred peak of Mani Mahesh Kailash and the snow-capped Pir Panjal Range to the north, Indian plains, Hindu temples etc. This trek is full of unexplored adventures and ultimate experience for all the mountain lovers. The best months for the expedition are from June to mid-October. One of the most preferred treks for all the beginners is the Dayara Bugyal Trek, situated at an elevation of about 3750 meters in the pasture uplands of Uttarakhand. It is easy to traverse as compared to the other trekking paths. The best part about this trek is its lush meadows that turn into a snow ground in the months of December to March, which are also the best months to cover this expedition. One can find himself lost in the arms of snow-capped mountains, far away from the hustles and bustles of city life. 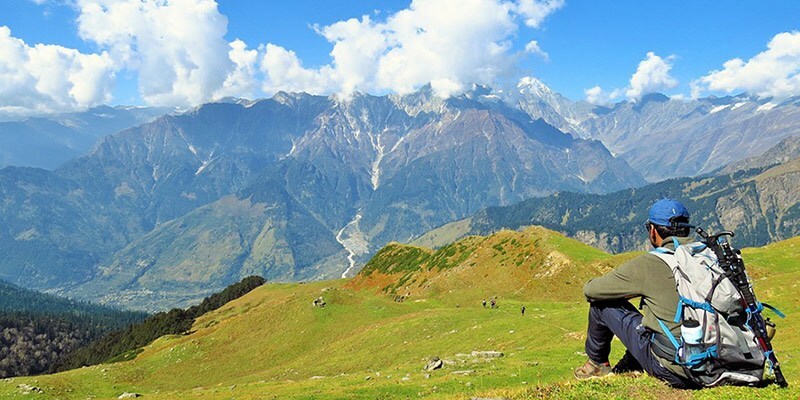 One of the most preferred treks for all the beginners is the Dayara Bugyal Trek, situated at an elevation of about 3750 meters in the pasture uplands of Uttarakhand. It is easy to traverse as compared to the other trekking paths. The best part about this trek is its lush meadows that turn into a snow ground in the months of December to March, which are also the best to cover this expedition. One can find himself lost in the arms of snow-capped mountains, far away from the hustles and bustles of city life. Chadar Trek is one of the most difficult treks which starts at the mountain town of Leh and is located at 11, 400 feet above the sea level. Its difficulty owes to the Zanskar River i.e. the Frozen River which lies between the route and is not very easy to cross. The best time to cover this expedition is in the month of February when the ice stays in the most stable position. The dramatic mountains that lay both the sides and its landscape give a lifetime moment of serene beauty. One can also discover the magnificent frozen waterfall at Zaskar River. 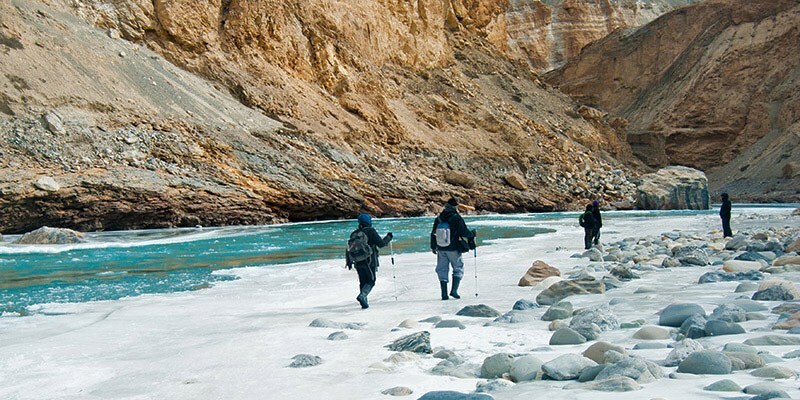 The trek of Markha Valley starts from Leh and one has to traverse through the tiny hamlets to reach the high altitude. It is nestled at the maximum height of 17, 100 ft and one can witness numerous streams, Hemis National park, Flora and fauna and some panoramic views of the infinite Ladakh Mountains. The serene beauty of this trek is a feast for the eyes of the viewers. However, this can only be viewed by the experienced trekkers due to its moderate to the difficulty level. The best months to explore this expedition are between June to September. 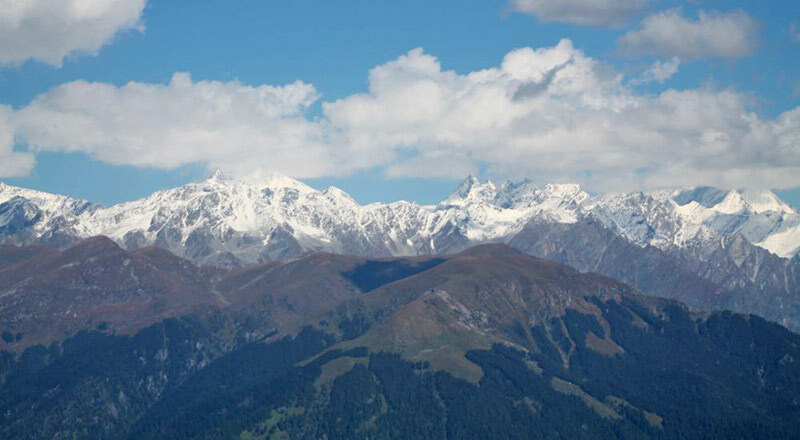 The second highest peak of the PirPanjal range in the Kullu valley is Deo Tibba, nestled at a height of 6001m. The trekking starts from the exquisite region of SolangNala and is well known among the trekkers. It is one of the most beautiful trekking expeditions that provides serene beauty as well as the gist of the ancient culture of the great Himalayas. 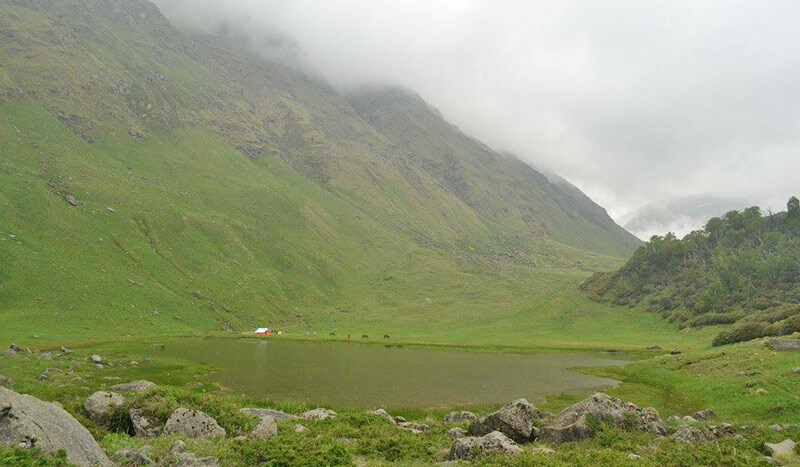 One can witness the grazing grounds of Gaddi Shepherds and Chandratal Lake while travelling. This expedition can be traversed by everyone who has a passion for trekking. The best months to visit are from March to October. One of the rare Himalayan destinations available in the winter season, Brahmatal Trek is an easy to moderate trek, nestled at an elevation of 12, 100 ft in the depths of the Uttarakhand Himalayas. This trek holds religious as well as cultural importance. It is set opposite to Roopkund and one can have a splendid panoramic view of some prominent peaks like Trishul, Nandaghunti, Chowkhamba, Nilkanth, Kamet, Hathi and Ghoda. It is a famous expedition for all the snow lovers who can even call it a paradise. The best season to traverse this trail is in winters if one is willing to gain a view of snow-capped mountains. The Sandakphu Trek is one of the most famous treks of Himalayas. 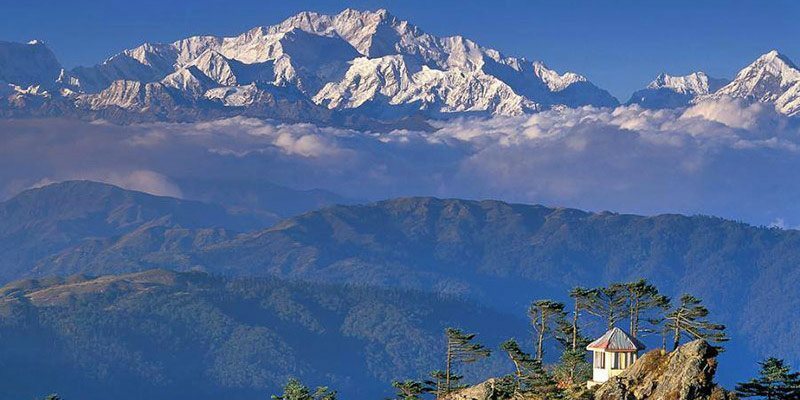 Being the highest peak in West Bengal, it gives a panorama of the world’s tallest peaks like Lhotse and Makalu. It stands at an elevation of 12,000 ft and offers a trail of snow-capped mountains and peaks. However, the path is neither too difficult nor too easy but zigzag and requires some kind of experience in trekking. One can also find himself moving in out of India to Nepal while covering the expedition. It provides an ample amount of thrill and adventure. April is the best month to cover this trek. The Kashmir Great lakes trek is the most wonderful and beautiful treks in India with a view of five beautiful alpine lakes. It is nestled at an elevation of 13,000 ft and popularly called as a paradise on Earth. The expedition starts from Sonamarg on the Srinagar road and usually last for 8 days. The silence and the spellbound serene beauty of this trek is a lifetime experience for all the trekkers and mountaineers. However, one must be physically fit to trek in the snow-capped mountains and explore the splendid beauty of these lakes. The most surprising and beautiful treks in the range of Himalayas is the Rupin Pass Trek. It is one of the most difficult treks and can only be traversed by the experienced trekkers. Nestled at an altitude of 15,250 ft, the journey starts from Dhaula in Uttarakhand and ends at Sangla. The variations of trails and the serene beauty make it one of the most discussed trekking points among the backpackers. It takes you on a variety of trails like snow, rocky terrain, along and through the water streams or meadows thus, making it the most adventurous trek. Trekking in the Himalayas is not an easy task. It takes physical fitness as well as the presence of mind to decide the path you are willing to follow. However, there are some basic necessities to carry while trekking to the highest point for the safety as well as living of a trekker like trekking shoes with a perfect grip, an apt sized rucksack with a rain cover, warm clothing as well as sun resistant products for the comfort of the trekkers, toiletries, raincoat, cutlery, water bottle, packed food such as- dry fruits, chocolates or energy bar, plastic covers, mandatory medical kit with prescribed medicines and some important documents that proves your verified entity. Apart from the personal amenities, some safety gadgets are also required to be carried in the backpack of trekkers such as the Swiss knife, torchlight, sleeping bag, compass, matchstick and whistle. The answer to this question cannot be a definitive one owing to the difference of trails, landscapes and regions. However, there are two main trekking seasons in the great Himalayas which are pre-monsoon and post-monsoon. Trekking in the monsoon season should be avoided as it is the most dangerous time to traverse the path. There are high chances of landslides and causes risk to the lives of the trekkers. The pre-monsoon season starts from the end of February and lasts until the end of May. 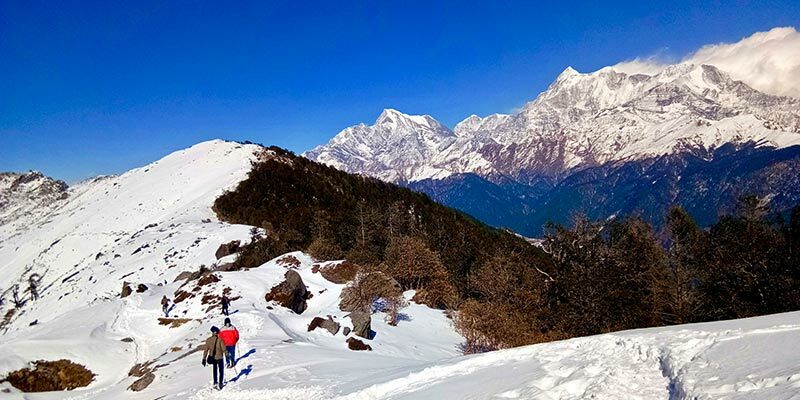 It is the best time to explore the summits with lower elevations such as Sandakphu, Deo Tibba, Markha valley, Indrahar pass; Hampta pass and Pin Parvati pass whereas the post-monsoon season starts from October. In the Nepal Himalayas, October is the most appropriate month for trekking. Some of the trekking destinations that can be explored in this season are Bhrigu Pass, Kuari Pass, Bali Pass, Goecha la, Stok Kangri and chadar trek. This season is the best to discover the high elevated treks and one can gain an entire view of the snow-capped mountains and glacial lakes. 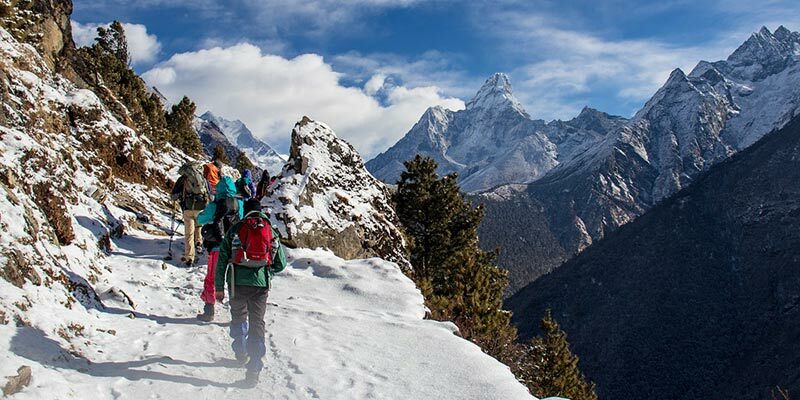 Trekking in the Himalayas is all about losing yourself in the arms of the breathtaking snow-capped mountains, beautiful scenery, exquisite wildlife, thrilling heights and lush of meadows. No matter how many times have you trek, you can never get over the feeling of covering the highest summit of the splendid peak. It is one in a lifetime experience to unfold the unexplored trails off the summit of the beautiful ranges of Himalayas. For all the passionate trekkers who wish to start trekking in the Himalayas, some famous, as well as easy destinations are Leh, Ladhak, Garhwal, Kullu, Manali, Bir, Kasol and Dharamshala in Himachal Pradesh, Dehradun, Jammu and Kashmir and New Jalpaiguri. You can go to any of these mentioned destinations and start your adventure. Best time to do a trek varies slightly on which trek and location. Most easy treks are best done in April to May and September to October. Most treks that take you above 3700-4000 mts. elevation only become doable post May. Monsoon is another major factor. Some treks get closed in Monsoon but many remain open but become tougher than usual. An easy trek during best time of the year can become a moderate to challenging trek during monsoon or winters. It also depends on person to person. If you have prior trekking experience then you understand things better and can take up more challenges than a beginner. Q. Do I need a trekking guide? It is always advisable to go hiking and trekking with a guide who knows the trail. Apart from trek guide some permits from local administration may also be needed. Q. What are the best locations for campsite? Best campsites are in open ground with a water source close by. 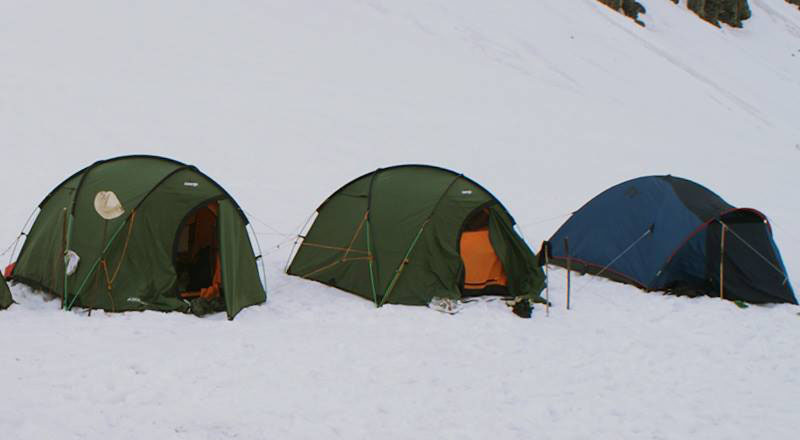 An ideal camping site should protect you from direct forces of nature (wind, rain) and preferably offer a good view. Always carry trash with you from camp site. Q. What all things to eat are generally recommended to carry? You should carry enough energy bars to last you whole duration of the trek. Ideally even in an organized trek, you should keep some food for emergency. You can also carry some ready to cook food items. Q. 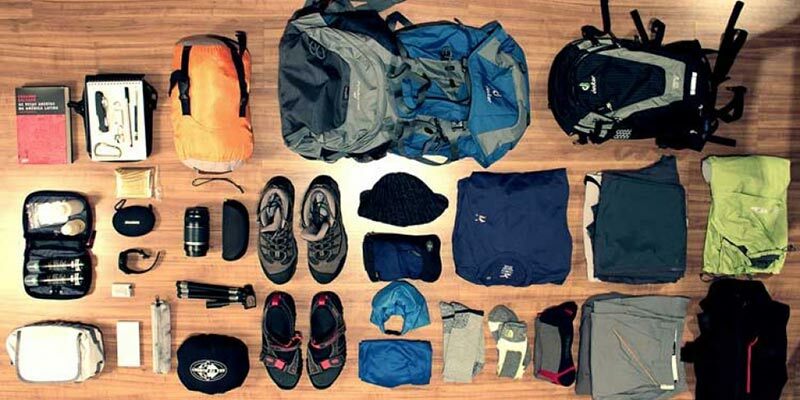 What do I need to carry for the trek? Please see the 'Things to Carry' section above. Q. What is the source of drinking water? On most treks drinking water is sourced from mountain springs or streams. On day hikes you can carry minimum 3 liters water per person. Q. Am I supposed to carry raincoat or wind sheet jacket? Yes it is the most important clothing you should carry on a trek regardless of the weather during the time. Q. Are documents important to carry? You must carry an Identity card with you on any trek. Q. Are smoking or drinking allowed on the trek? Both smoking and drinking should be strictly avoided during the course of the trek. Smoking would make it difficult for you to breath and alcohol will dehydrate you.